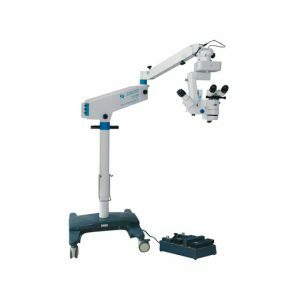 YZ20T4 Operation Microscope is a kind of the same light-way Operation Microscope for two persons and double eyes. It ensures the same stereo effect that the doctor and the assistant observe. 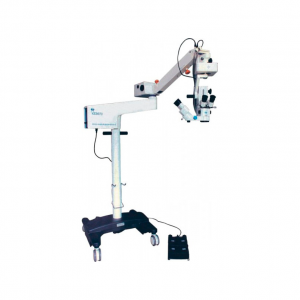 The main microscope has five-step magnifications and the assistant microscope has three-step magnifications. The assistant microscope can be locked at 90°to the left or the right of the main scope. Taking off the oblique illumination device, the assistant microscope can be locked at 180°to the left or the right of the main scope. The system adopts the cold light source which won‟t do damages to the tissue. The illumination is sufficient and symmetrical. According to the characters of ophthalmic operation, the illumination system is equipped with retina protecting device, red reflex intensifier, filter of infrared and as well as ultraviolet ray. The instrument is equipped with push-way splitter light system which can split light, teach, take photograph and video. 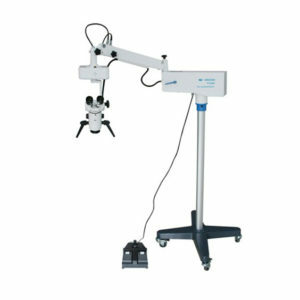 The instrument adjusting functions include magnifying, focusing, horizontally removing, pitching and inclining in which magnifying, focusing and horizontally removing can be controlled by foot switch. 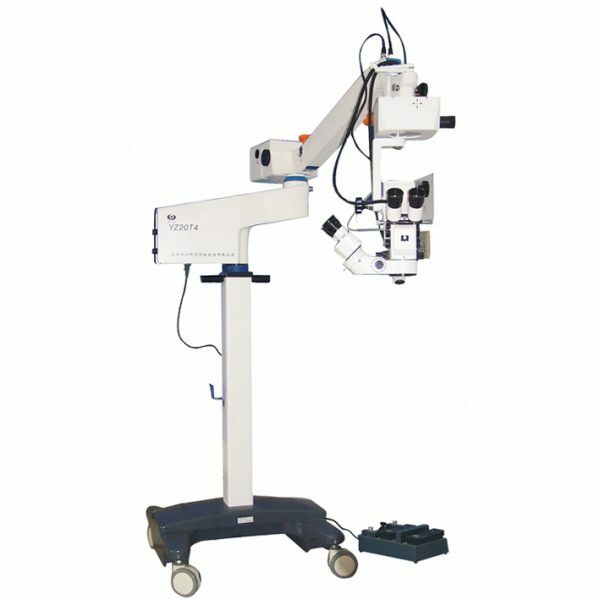 This instrument is available and flexible for ophthalmic operation, neurosurgery and embedding the broken limbs, etc. No use contraindication. Environment for use temperature: +5 ℃ ~+40 ℃ . Relative Humidity: 30%~75%.